Products and service are great. I only have one tiny complaint and that is postage, is there some way to get a flat rate like other companies? The spacer ring is exactly the height of a tray (being a tray with the centre removed) and can be placed on top of a tray to allow for the drying of larger items. 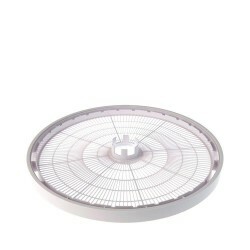 If you use several spacer rings you can also use your dehydrator for incubating cheese or yoghurt. Ezidri Dehydrator Fruit Leather Sheet - Dehydrate your favourite soup, sauces or fruit purees usin..